Sub-Zero was first founded in 1945. 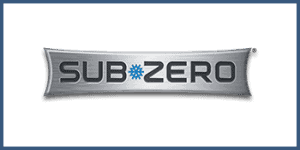 After nearly 70 years, Sub-Zero has established itself as the premier refrigeration system with an unending commitment to great performance and design. Similarly, C&W has six decades of refrigerator, freezer and wine storage repair experience. Since offering high-end refrigerator repair services, our dedication has earned us the title of Premier Partner with Sub-Zero, and we are the only such repair facility in the DFW area, and one of only two in the entire state of Texas. Beyond Dallas and Fort Worth, our Sub-Zero service technicians also handle Austin, San Marcos, San Antonio and many more areas in Texas. Don’t leave your high-end appliance repair in the hands of anyone but the best. Sub-Zero specializes in residential kitchen appliances, which include top-of-the-line refrigeration and wine preservation built here in the U.S. The refrigeration systems are engineered to last for over 20+ years of heavy use while blending seamlessly into the décor of your living space with their revolutionary integration designs. Now for over 30 years Sub-Zero appliances have earned the Energy Star rating for outstanding efficiency. The appliances use less energy than a 100-watt light bulb and 15% less energy than non-certified models.